Drastic Price Improvement and wait until you see the possibilities that await you in this well cared for home that is looking for her redo. Opportunity! Single story in the Inner Loop for under $850,000! This 4 bedroom 2 bathroom home sits on an 8,400 sqft lot that features a private backyard with fruit trees and east/west exposure. The welcoming family room has views of the backyard, custom built-in bookcase and fireplace. This home has been lovingly cared for and shows true pride of ownership. The master suite is separate from the other bedrooms and has a private courtyard that creates a peaceful zen like environment that will call you home every day. Close to world class shopping, new restaurants, and great schools. 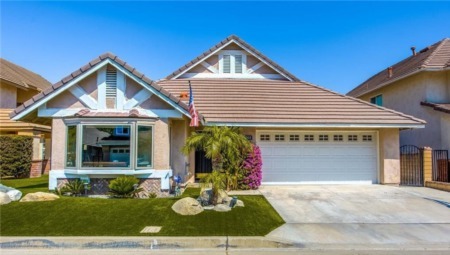 Don't miss your chance to buy in one of the most sought-after neighborhoods in Costa Mesa where you can't overbuild! Lot Size: 0.19 Acres / 8401 Sq. Ft.
SchoolsClick map icons below to view information for schools near 2846 Serang Place Costa Mesa, CA 92626. Listing provided courtesy of Valerie Torelli, Torelli Realty.